Oh my goodness. This hike was killing us. This was our THIRD time trying to find the trailhead and thankfully this time we actually found it! 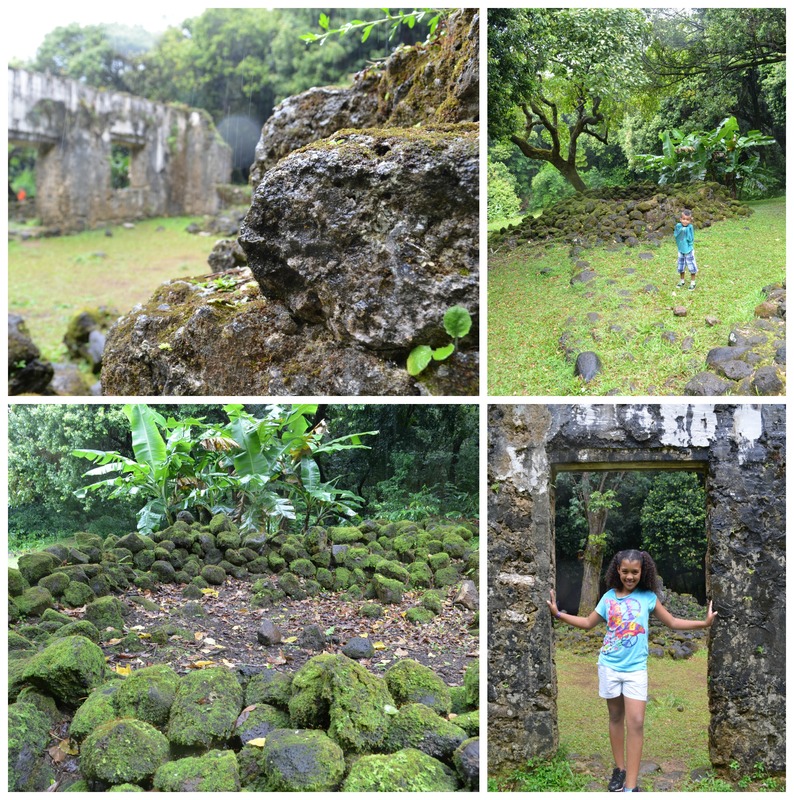 I cannot recommend this hike enough, it is a very short hike and leads to an amazing set of ruins. I would just caution to not walk on them or disturb them because the walls are crumbling. Continue on the trail, do NOT take the first left at the big tree, that will loop you around and take you back to the road. 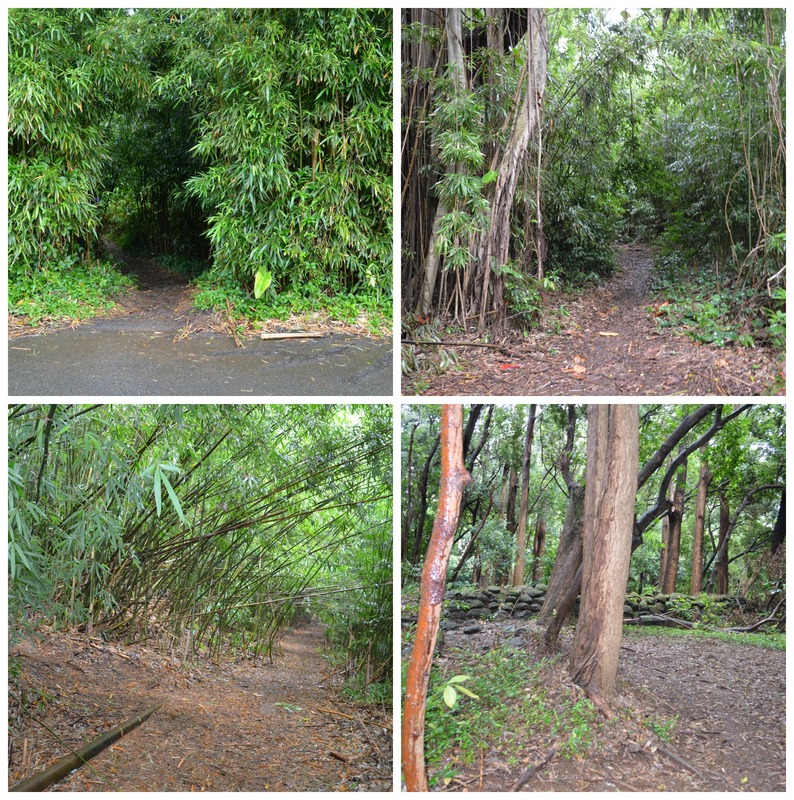 Head straight until you see a large path to the left while you are in the bamboo forest. The trail should start to climb a bit. You should start seeing lovely stone walls around you… This is good, you are headed the right way! Ten thousand people here for a luau?! Can you even imagine? I would have LOVED to be at that party. It’s sad to see these ruins so neglected. When I was looking online for information about them, it said by the 1870s, just 30 years after the famous luau, they were already ruins. 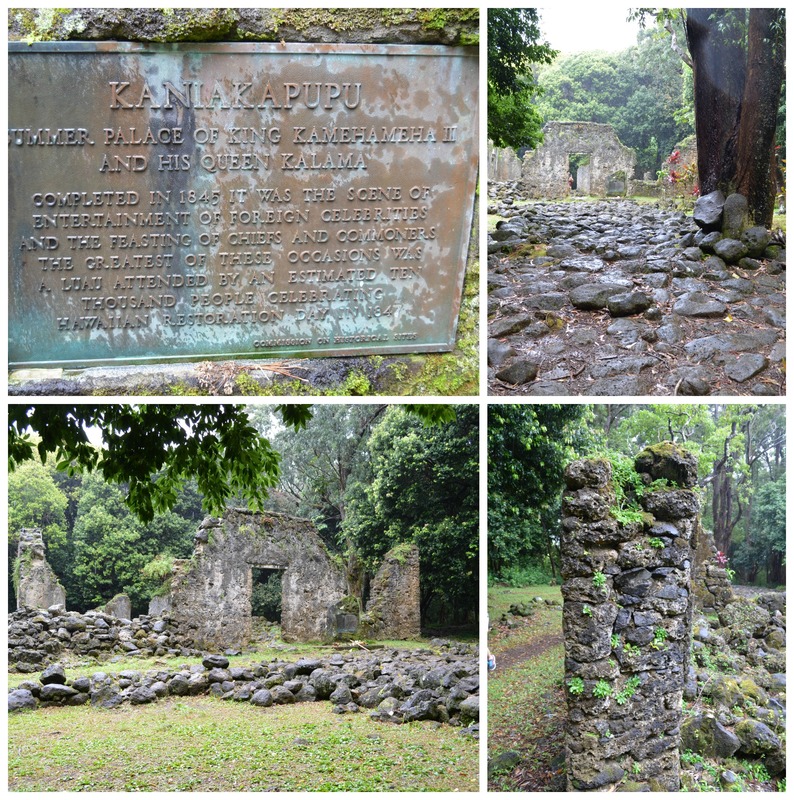 The history of these islands and their rulers is fascinating to me… I keep joking that I am going to start sitting in on Hawaiian studies classes at the University so I can keep learning! If you have a time to fit this hike it, I recommend it. It should take no more than 10-15 minutes to hike in and would make for a great picnic or photo background location. I think there may also be another waterfall tucked away in here, but that is another hike for another day!